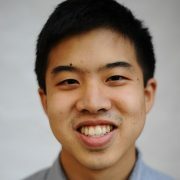 Daniel Lo is a Research Hardware Design Engineer at Microsoft Research. He joined in 2015 as part of the Catapult Project. His research focuses on designing high-performance FPGA-based accelerators for applications including Bing ranking, machine learning, and others. Daniel received his Ph.D. in Electrical & Computer Engineering from Cornell University in 2015 where he worked at the intersection of computer architecture, real-time systems, and computer security. He received his B.S. in Electrical Engineering from Caltech in 2009.